Towards the end of last month I had the pleasure of visiting the tiny Georgian port of Garlieston in Galloway. My main reason for visiting was the town’s association with former Indefatigable Midshipman John McKerlie, who operated merchant ships from the port for a number of years following his retirement from active naval service at the end of the Napoleonic War. 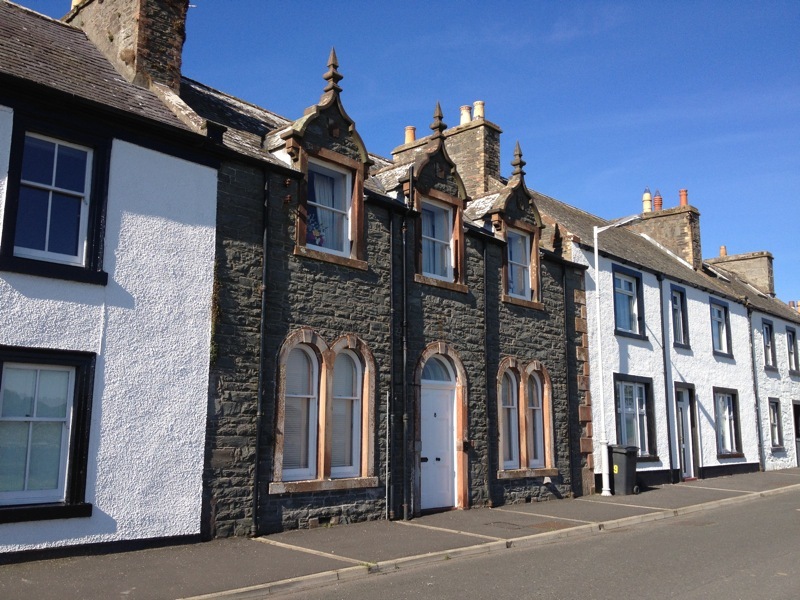 Situated on the south east coast of the Machars peninsula, Garlieston now feels a long way from anywhere, however in the late 18th and early 19th century it was a thriving merchant port and was once reputed to be the richest village in Galloway. The day I visited Garlieston I was lucky enough to catch a guided walk by historian and author Lucy Inglis on the Georgian architecture of the town. 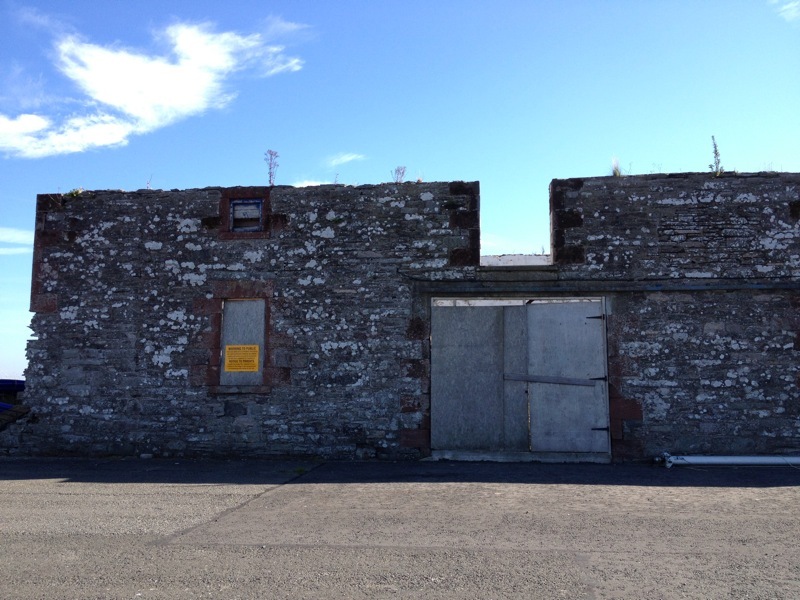 The event was part of the Wigtown Book Festival and Lucy’s fascinating talk was greatly enhanced by several local residents who were able to provide additional details about the history of the town and its buildings. Garlieston in its present form was reconstructed according to plans laid down by the 7th Lord Galloway in the 1760s. Two elegant crescents run out from either side of the central mill and front onto the large tidal bay that forms Garlieston harbour. Many of the crescents’ neat white houses date to the late Georgian period, though examples of earlier 17th century and later Scottish baronial style houses can also be seen. Behind the North and South Crescents, runs Culdurry Row, a straight street of more modest houses that fronts along what would once have been the common land. Like most Scottish rural towns and villages, Garlieston is a linear settlement strung out along the line of the common land. 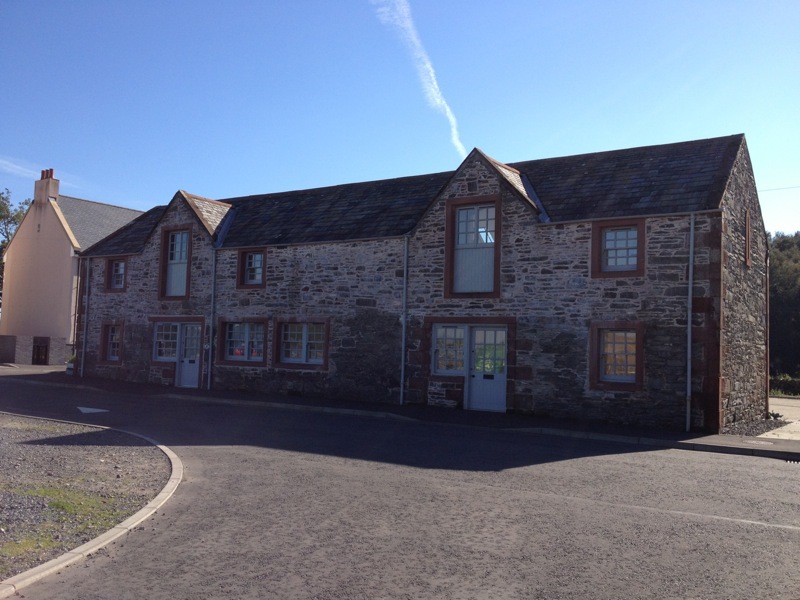 Some of the construction work of the town, and nearby Galloway House, was undertaken by French Napoleonic prisoners of war who were housed in a building at the northern end of the cresent, which is still known as “the barracks”. 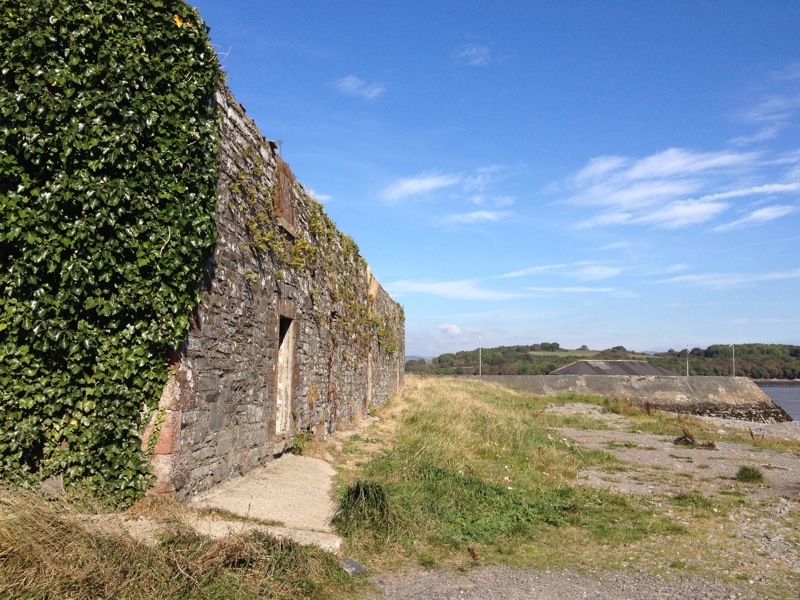 During Lucy Inglis talk, there was some speculation that prior to the Napoleonic War, the barracks may have been used to house a garrison, stationed there to counteract the smugglers that operated around the coast. A former resident of the barracks explained that the ground floor of the building is much lower than the upper floor, being little over six feet high from floor to ceiling, this led Lucy Inglis to suggest that the ground floor may have been used as a mess room, with the upper floor forming the living quarters. 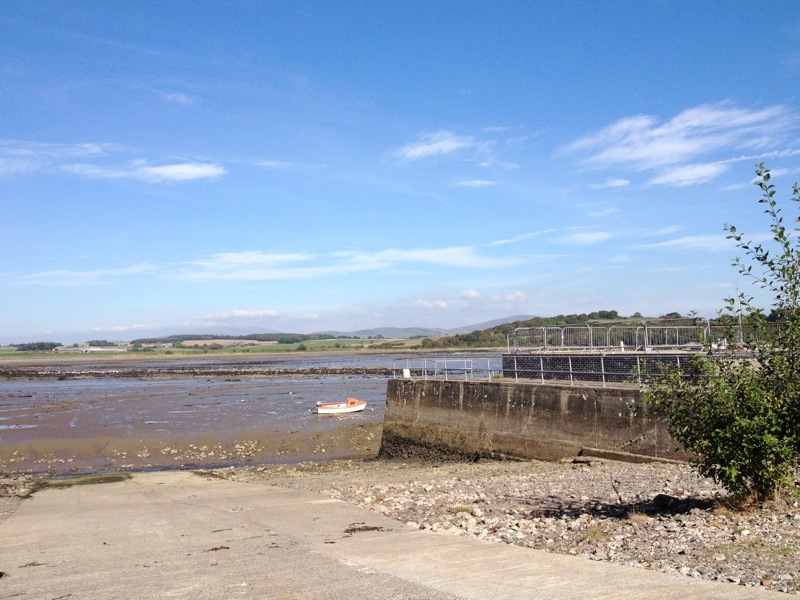 South of the crescent are the remains of Garlieston harbour which is still popular with small yachts and leisure boats. 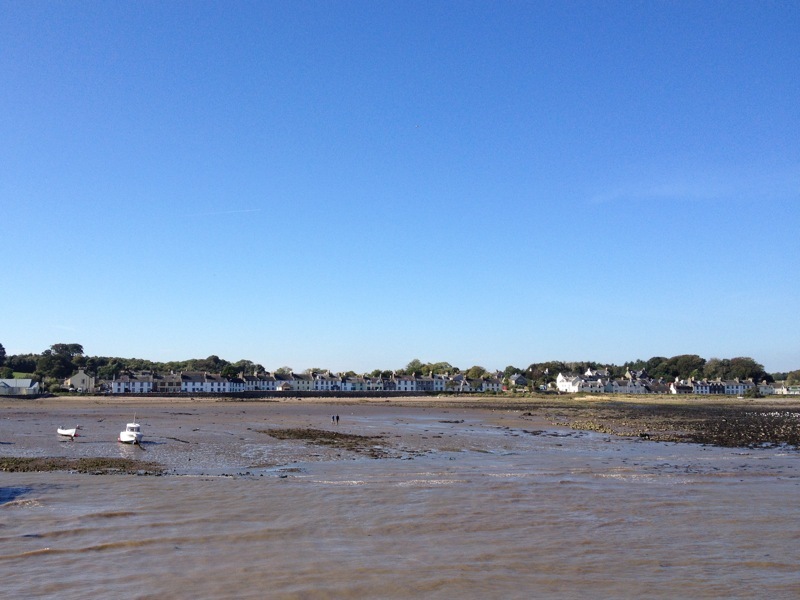 The harbour was developed from 1815 onwards and continually improved throughout the early part of the 19th century. In 1838 a substantial pier and breakwater were built at the cost of £2,600, which was raised by public subscription . 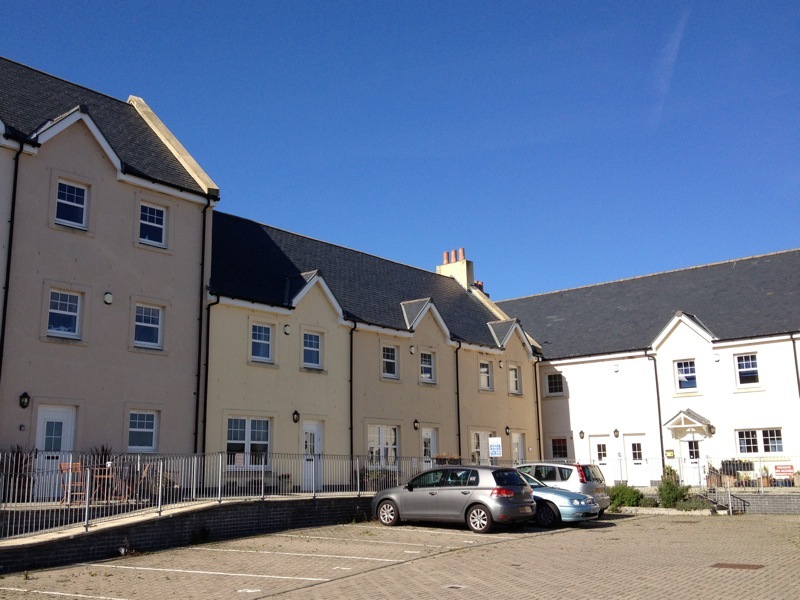 The harbour is now dominated by a recent development of incongruous looking modern flats constructed on the site of a former animal feed granary built in 1948, however several of the original 19th century harbour warehouses have survived. 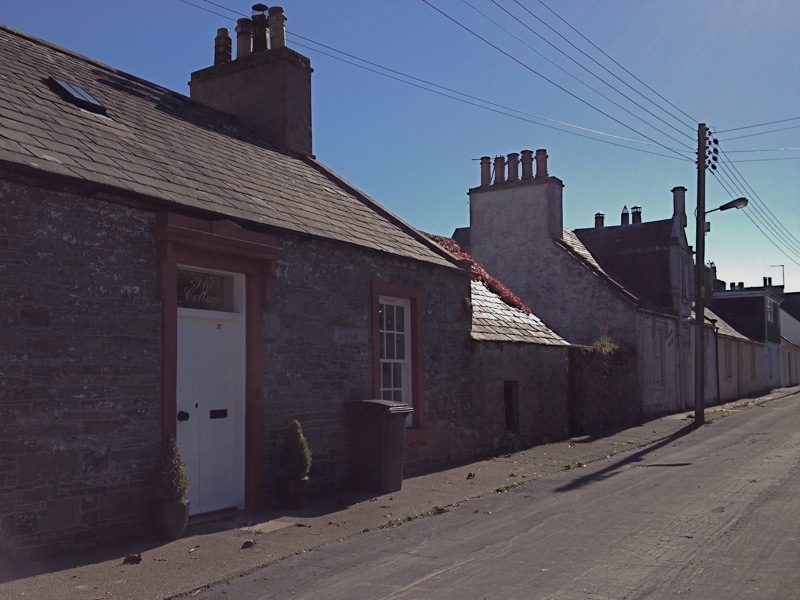 One has recently been converted into holiday cottages, but the second is in an extremely dilapidated state and is listed on Scotland’s historic Buildings at Risk register. Garlieston’s wealth throughout the 19th century was founded on a thriving fishing fleet and merchant cargo trade with Liverpool, Waterford, Dublin and Glasgow. There were also regular passenger crossings between Garlieston, Whitehaven and Liverpool. Associated maritime industries developed around the harbour including boat building and rope making. Lloyds Shipping Register for 1831 lists eight Garlieston built vessels with a combined tonnage of almost 600 tons operating from the port; Lord Exmouth, 93 ton brig, Keith Stewart, 90 ton schooner, Catherine, 80 ton schooner, Margaret Marshall, 80 ton sloop, James Brice, 71 ton schooner, Keith Stewart, 58 ton sloop, Garlies, 53 ton smack and Countess of Galloway, 52 ton sloop. 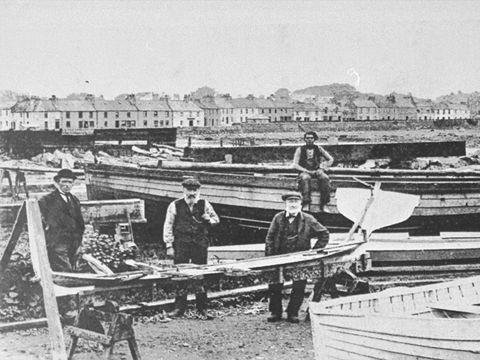 Boat building continued at Garlieston well into the 20th century but the site of the former boat yard is now occupied by a caravan park. John McKerlie’s association with Garlieston can be traced back to 1806 when he contacted the Admiralty from an address in the town regarding a pension for serious injuries, including the loss of his right arm, which he had sustained during the famous Droits de L’Homme engagement in 1797, when the frigate Indefatigable and her consort Amazon took on a French 74 gun ship of the line off the coast of Audierne Bay. 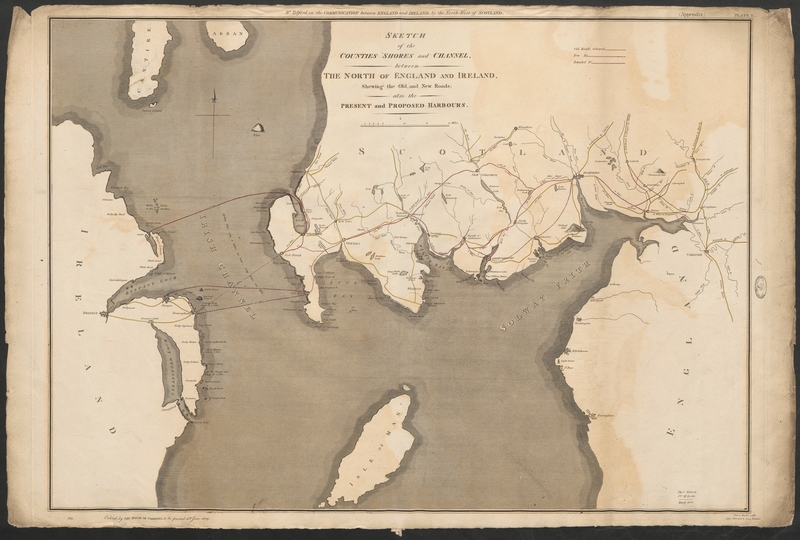 Around this time McKerlie had been seconded from the navy to work with Thomas Telford with whom he surveyed harbours, roads and bridges for an 1809 parliamentary report on communications between England and Ireland, via the North West of Scotland. Born in Glenluce, Galloway in 1775, McKerlie first went to sea at a young age with a friend of his father’s who was employed in the Baltic trade. He entered the Royal Navy in April 1794, as a volunteer rated able, when he joined the Arethusa, captained by the celebrated frigate commander Sir Edward Pellew, later Admiral Lord Exmouth. The following year, when Pellew left the Arethusa, McKerlie followed his captain to the Indefatigable, the ship that was to become his most famous command. Despite the loss of his arm, McKerlie had an active and successful naval career. He participated in several notable frigate engagements and boat actions, served at Trafalgar as lieutenant of the Spartiate, was commended for gallant service during the Walcheren expedition and commanded a squadron of ships stationed off Heligoland, where he was instrumental in overseeing the defence and retreat from Cuxhaven. McKerlie returned to Garlieston at the end of the war in 1813 but, despite finally being awarded the rank of post captain, he was unable to obtain another command. Instead it appears that he turned his attention to merchant shipping and, between 1823 and 1826, Lloyds Shipping Register lists McKerlie as captain and joint owner of the Garlies, 6 gun, 53 ton smack, operating between Waterford, Liverpool and Garlieston, a route he had previously surveyed with Telford. McKerlie is also listed as the owner of the 90 ton schooner Keith Stewart, built in 1821, Captain W Hannah, working from London to Dublin. It seems more than likely that McKerlie also had a hand in naming the Lord Exmouth brig, which was named after his former captain and mentor, Edward Pellew. The Lord Exmouth was owned and captained by one J. Kerr and operated around the Dublin coast. McKerlie was clearly a successful member of the thriving Garlieston community and around this time he also married and served as a local magistrate. 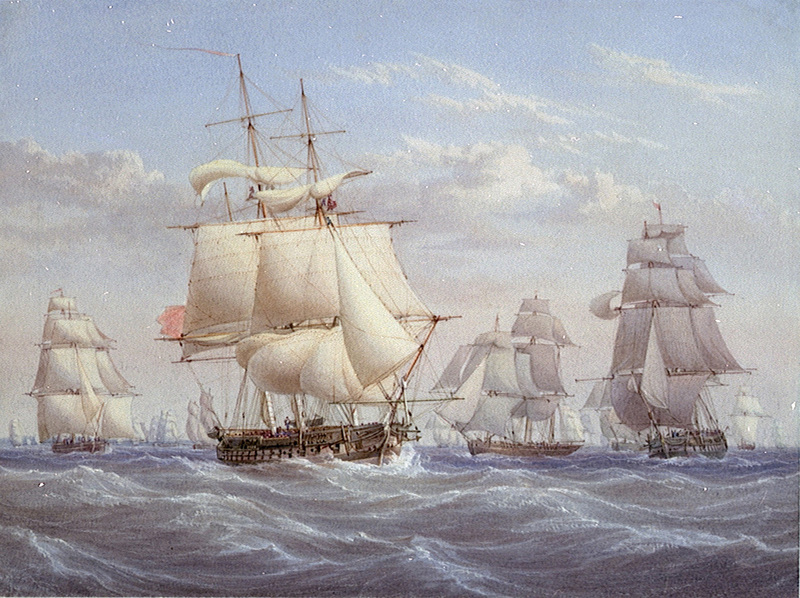 One final opportunity for naval service came McKerlie’s way when he was appointed as captain of the controversial Symondite frigate, Vernon, between 1834 and 1837. It seems likely that this appointment came about through McKerlie’s association with the Earls of Galloway. Sir James Graham, First Lord of the Admiralty between 1830 and 1834 happened to be the grandson of the 7th Lord Galloway who was originally responsible for the reconstruction of Garlieston, and the 8th Lord Galloway was an Admiral who served as one of the Lords Commissioners of the Admiralty in 1805. 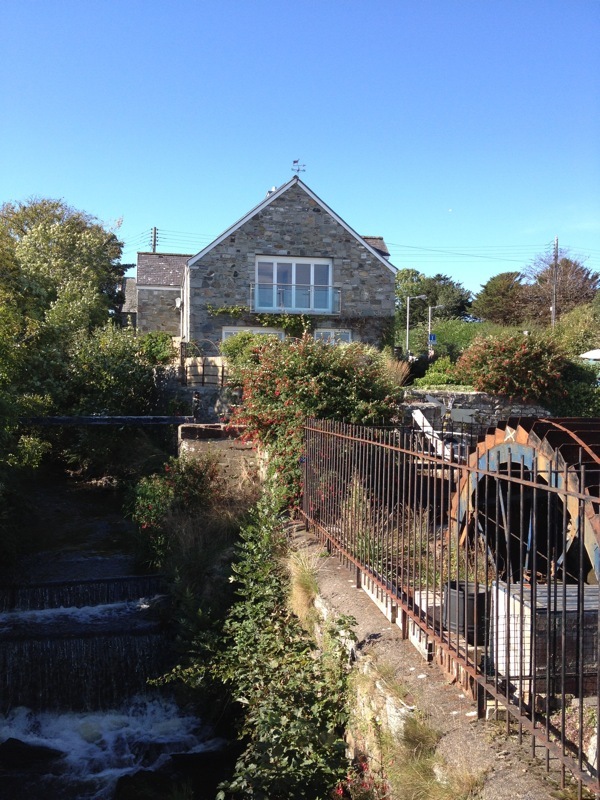 McKerlie, left Garlieston towards the end of his life and moved fifteen miles north to Corvisel House, just outside the market town of Newton Stewart. In 1847 he was one of only eight surviving veterans who had lived long enough to apply for the Naval General Service Medal with a clasp for the Droits de L’Homme engagement. The following year, in 1848, Rear Admiral John McKerlie died at Corvisel House at the age of seventy-three. The railway reached Garliestown in 1876, eventually diminishing the importance of the merchant shipping trade. One of the town’s current residents recalled that in the 1950’s their mother had been able to travel by train directly from Garlieston to Edinburgh and Glasgow without ever having to leave her seat, as separate carriages were provided to transport passengers to each city. The Garlieston line was closed following the Beeching rail cuts of the 1960’s and the nearest railway station is now Stranraer, over 30 miles away. Although the port of Garlieston had declined considerably by the mid part of the 20th century, the town witnessed a renewed burst of activity during the Second World War when the bay was used to develop and test the floating Mulberry Harbours used during Operation Overlord and the Battle of Normandy. 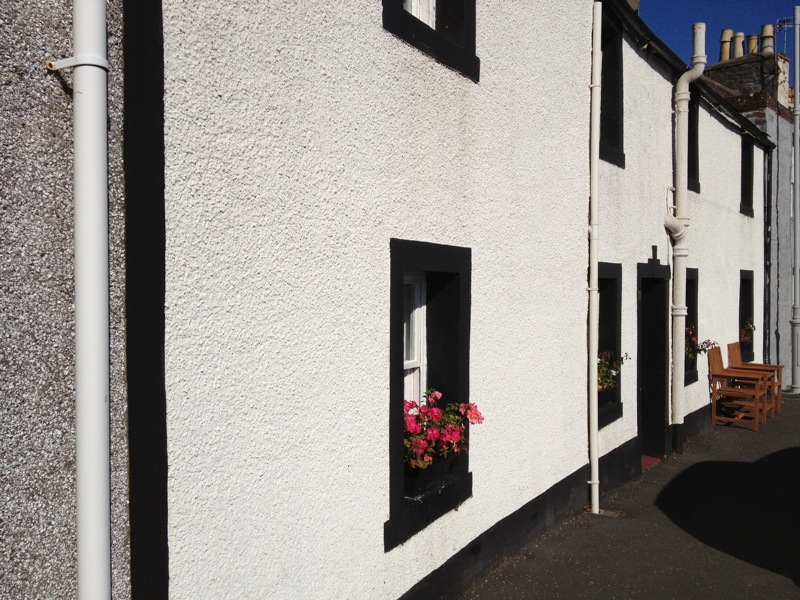 Garlieston is now a popular holiday destination and many of the town’s houses are owned as second holiday homes. Traces of the port’s former wealth are still visible in the neat Georgian cresents and immaculate bowling green on the sea front, however the harbour area, though popular with leisure boats, is much diminished. Other than the substantial pier and breakwater and the single derelict warehouse, little remains of the thriving merchant port that John McKerlie would have been familiar with in the mid 18th century. I couldn’t resist writing to congratulate you, rather late I see. As it happens my grandparents lived in the Baronial style house in North Crescent until 1974, and my great-great uncle, George Gifford, lived at Corvisel House from the 1880s to 1909! This is the first time that I’ve read a good piece on the heyday of Garlieston. It’s so hard to imagine now that the bay has silted up. I had come across some of these ships too, but delighted to read more about them. And what a fascinating character McKerlie was; both Thomas Telford and Admiral Pellew are heroes of mine. Thank you for taking the trouble to post this. PS Do you have any idea where Rear-Admiral John McKerlie lived in Garlieston? Following Lorna’s comment ,Anthea,- At the moment I am not sure we have the information about where John McKerlie lived in Garlieston.The evidence for his ship building and owning in those Garlieston years is largely drawn from Lloyds register which means things like addresses of masters of ships are not listed. In 1821 when his daughter was born/baptized ( 17th August/20th August ) that was in the Leswalt, WIgtown parish register and the entry was headed ‘Hillhead’ but in address terms I have nothing really between this and the 1841 census by which time they were at Corvisel House. It does look, however, as if the family almost connects with your great great uncles residence at Corvisel House because Harriet/Herriot McKerlie, the admiral’s widow, lived there still at her death which was not till 1872 – so there cannot have been many years between her occupancy of the house and George Giffords !She lived there with an unmarried sister,Dunlop Stewart before and after the Admiral’s death. Hello Anthea, thank you for your kind comment, I’m very glad you enjoyed this post. 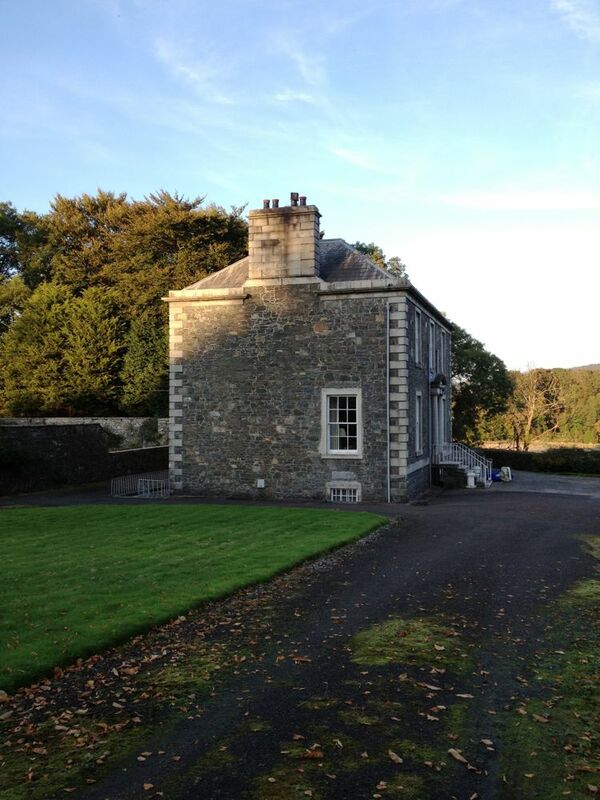 How lovely to hear you have a family connection to Garlieston and Corvisel House, it’s a beautiful spot. The house can’t have had many tenants between John McKerlie and your great-great uncle. I wonder if he knew older members of your family? Do you know if they had any connection with the local shipping industry? I don’t know myself where exactly John McKerlie lived in Garlieston, however my colleague Heather may know as she has done most of the archival research for our project. 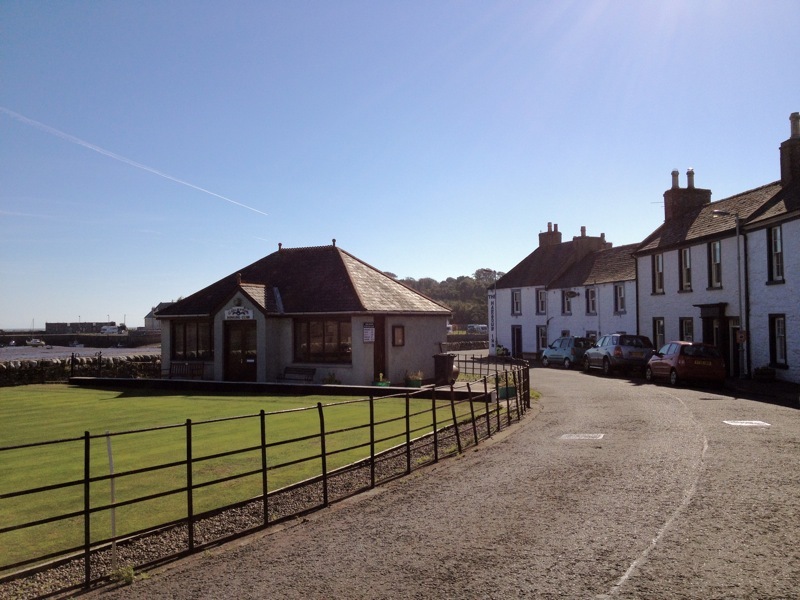 Have you done any research yourself on the history of Garlieston? Interesting read and fills in many blanks. I wonder if you have any idea where ‘West Row’ might have been? My niece has been on genealogy.com and discovered my great grandfather was born in Garlieston, on West Row. This would have been late 1800s. Oddly enough, after growing up in London and the South east; I moved to Wigtown this year and then discovered all of my father’s family came from this part of the country.